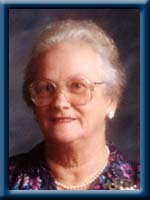 DAURY—Milda Doris, 82, of Queens Manor, Liverpool , formerly of Southwest Port Mouton, Queens County, passed away peacefully on Friday, February 17th, 2012 at Queens Manor. Born in Southwest Port Mouton, she was a daughter of the late Gilbert and Frances (Bowers) Burgess. She is survived by her daughter Rosalin (Robin Fisher) of Port Mouton. Daughter-in-law Trudy Daury of Southwest Port Mouton. Grandchildren Richard Daury of Queens Manor and Angela (Billy) Roy of Port Mouton. Great-grandson Brayden Roy. Brothers Gerald (Fallie) and Milton (Syvilla), both of Southwest Port Mouton, Beryle (Alice) of Port Mouton. She was predeceased by her husband Chandler, son Wilbert and brothers Spencer, Randall and Leon. dear rosalin and families.we was so sorry to hear about the passing or mother milda.our thoughts and prayers are with you all at this sad and difficicult time.god bless you all. To Milda’s family -so very sorry to hear of her passing! my thoughts are with you all at this sad and dufficult time! We are sorry to read of your Grandmother’s passing.It’s clear to see from the video and the obituary that she was a very special lady.Our sincere condolences to you and all of your family. Rosalin, Trudy & Families, we are so sorry for the loss of a great mother, grandmother, great grandmother and a great lady in general…she will always be remembered for her big smile, and her kindness towards others…take comfort in knowing she is at peace now, FREE from Pain, Flying High with the Angles…R.I.P. Milda. Rosalin, Trudy and Families: We were saddened to hear of Milda’s passing, our deepest sympathy to you at this difficult time. Milda was a great story teller and we enjoyed listening to her tell of her driving days and all the wonderful things she baked and shared with others. May her ‘new home’ be filled with all the snacks she enjoyed so much and free of pain and suffering. Sorry to see of Milda’s passing, we remember her well when she use to transport people to Liverpool and such, She was well known in the community, may her family find comfort in the days ahead. I’ll always remember her lovely smile. Please accept our condolences. My Deepest sympathy to you Trudy with the loss of your Mother in law. May God be with you and the family in the days to come. My deepest sympathy to Milda’s family. I remember her from my younger years and she was a sweet lady. My thoughts are with you all at this sad time. So sorry to hear of your loss, We will keep you all in our thoughts and prayers. We are so sad about Milda’s passing. She has gone to join Chandler and Wilbert. There are no words that can make it easier but you know we have you in our prayers and thoughts. Love Bev & Basil. May you find comfort in the knowledge,that those who are near you are thinking of you in your sadness. Our thoughts and prayers are with you. Very sorry to hear about your grandmother. Grandmothers are very special people she will hold a very special place in your heart. To all of Milds’s family, ours thoughts are with you at this time of sadness. Keep all your happy memories and know that everyone that knew her will remember her smiling. I am very sorry to hear of the death of your loss. May it help you in your time of sorrow to know that people share your loss and her memories help you . Please accept our sympathy and sincere condolances.